India’s fear of failure is not emanating from the players but instead from selectors. They have more or less gone with the same choice of personnel against West Indies, New Zealand, Australia, England, Bangladesh, and Sri Lanka. India’s terrific run of success over the last year or so has had a lot to do with skipper Virat Kohli’s aggressive “winner-takes-it-all” brand of leadership. His striking intensity on the field, as player and skipper, has been unmatched. The fact that he wears his emotions on his sleeve and makes no bones about it goes with the skipper’s ever-increasing aura. And the team has responded to it in ways that has substantially lifted its overall performance. 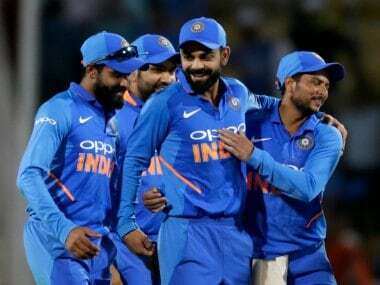 The team’s magnificent run this past year or so is certainly a tribute to its ability to rise to the occasion time and again and this has been made possible by the positive leadership of Kohli. 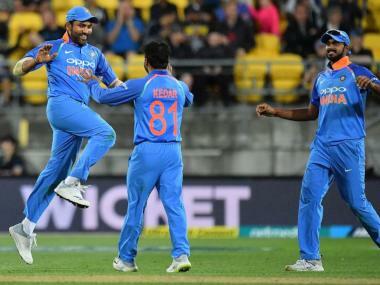 The superb ‘come-from-behind’ win in Chennai in the first ODI against Australia was wholly due to the amazing upbeat spirit that he has driven into the team. Yet, every time the squad is chosen—whether 14 or the playing eleven—there is a distinct feeling that Kohli and coach Ravi Shastri are dogged by fear of failure as reflected by their safe choice of personnel. It is ironic that the duo which backed Hardik Pandya at a time when he was far from being the finished product is not as bold of late. Of course Pandya has come of age superbly, with that innings in Chennai probably his graduation from being an exciting potential to someone with the nous to succeed in international cricket. The continued faith in Pandya and the bold decision to go with two wrist spinners for the game against Australia must rank among the finest decisions made by Kohli and Shastri. 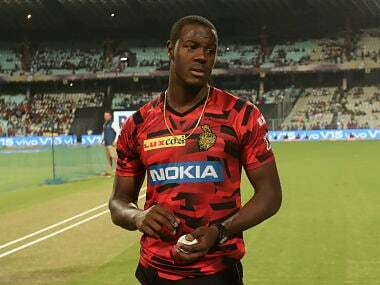 But that willingness to back other young talent, particularly in batting and fast bowling departments must extend substantially if there is to be an embarrassment of choice leading to selection of the national team for the 2019 World Cup. Recently, former Sri Lankan skipper Mahela Jayawardane said his country’s players were losing matches because of a fear of failure. Earlier Australians used to mock English batsmen saying they could see fear in their eyes. South Africa’s teams too used to be ridiculed for their inability to play fearlessly in big tournaments. However, India’s fear of failure is not emanating from the players but instead from selectors. They have more or less gone with the same choice of personnel against West Indies, New Zealand, Australia, England, Bangladesh, and Sri Lanka. 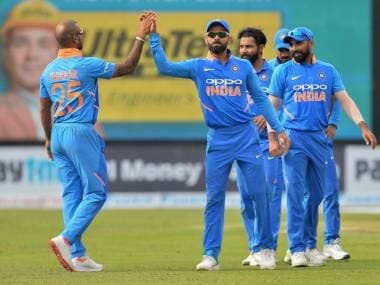 Their rotation policy is confined to pacers, Bhuvneshwar Kumar, Jasprit Bumrah, Ishant Sharma, Umesh Yadav, Mohammed Shami and a couple of others. There have not been too many attempts in unearthing a left arm pacer to lend variety to the mix. The selection committee headed by MSK Prasad, probably under the influence of Shastri and Kohli, has chosen the team only for the first three ODIs. If by then India wrap up the series there could be the odd experimentation. Else it would be business as usual. The problem with this approach is that there is nothing new to be learnt. Ravichandran Ashwin’s engagement in English county cricket permitted some experimenting with spinners. Yet when Axar Patel was injured the selectors fell back on the experienced Ravindra Jadeja. It is possible that Shastri who took over as coach amidst much acrimony from Anil Kumble is feeling the pressure to deliver all the time. He probably feels that the best way to get the desired results is to go with tried and tested key players and thus has left himself little room to manoeuvre in a ‘live’ series. While this certainly has brought in excellent results, Indian cricket can ill-afford to be laid low either by injury to key personnel or a series of rapid retirements like in the case of Rahul Dravid, Sachin Tendulkar, Sourav Ganguly, VVS Laxman, Kumble and Virender Sehwag quitting international cricket within a matter of months. 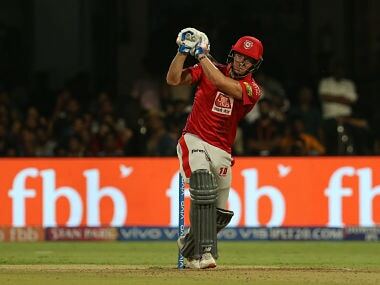 It certainly would help if the current selectors are able to unearth one or two good young talented batsmen, a young wicketkeeper and a left-arm pacer. These are not necessarily to replace existing personnel but to ensure that credible alternatives are available if needed going into World Cup 2019. Indeed what better opportunity to try out fresh promising players than at home in India where they’d be groomed alongside experienced seniors in familiar conditions. But for that the selectors and Shatri need to rise over any fear of failure.